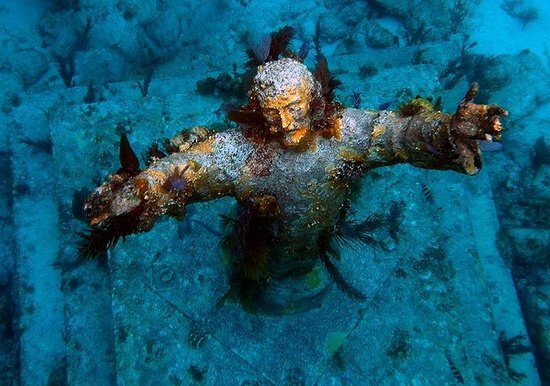 Christ of the Abyss is a submerged bronze statue of Jesus Christ, which was created for an art exhibit. It is located in San Fruttuoso, Italy. The original statue is located in the Mediterranean Sea. Artist Guido Galletti built this statue o in 1954 and placed it into the water at a depth of 55 feet. Similar statues can be found underwater worldwide which were deliberately sunk. The statues are massive in scale and they look surreal to the divers when compared to the whiteness of the ocean floor. It is also extremely popular as divers pay homage to those who have taken their last breaths in the sea. It is considered one of the scariest places on earth. So, Christ of the Abyss definitely makes it to our list of top 10 scariest places on Earth.